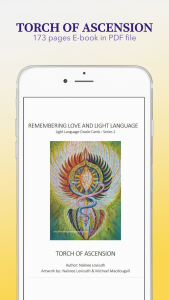 This deck is a collection of light language art which was done over a 3 year period. 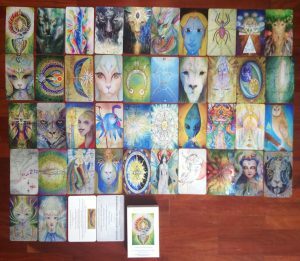 I have included some of my partner’s colourful and powerful paintings in this deck as well. A loving collaboration and share of joy from our hearts. The images are printed on large sized ( 3.5 x 5.75 inches), 330 grams superior smooth and durable cards. There are 42 oracle cards. 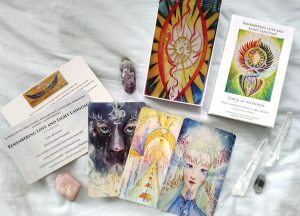 I wish from the bottom of my heart and highest intention that the cards and book will assist many on their spiritual paths from self empowerment, inspiring creativity, to strengthen love and unity within and all around. This feels very much like a special DIY project that birth into form. 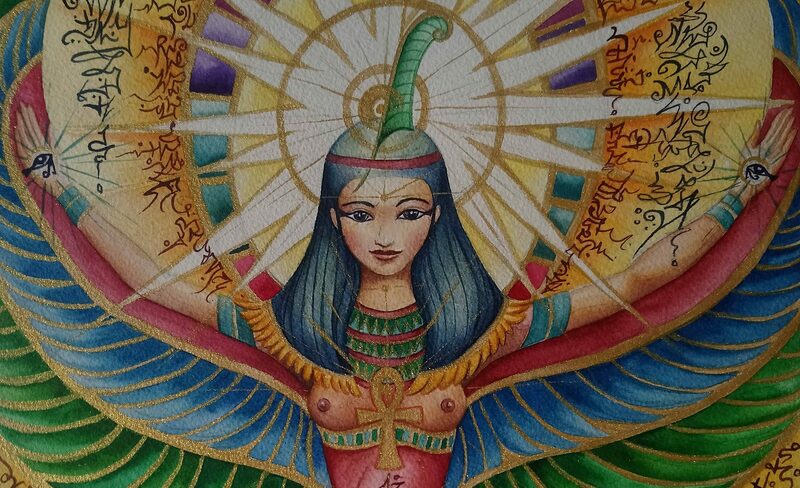 Here, I send tremendous amount of love and appreciation for your resonance, support, and inspirations. THANK YOU! ** I request for your understanding and patience due to the time difference. You may receive an email from me within 10 minutes or up to 10 – 12 hours.